My experiences on board the Fathom Adonia, sailing to the Dominican Republic. It was my first time traveling to the Dominican Republic, and I was delighted to be traveling with a purpose. Yes, I was traveling on a cruise ship. However, this was no ordinary cruise ship. 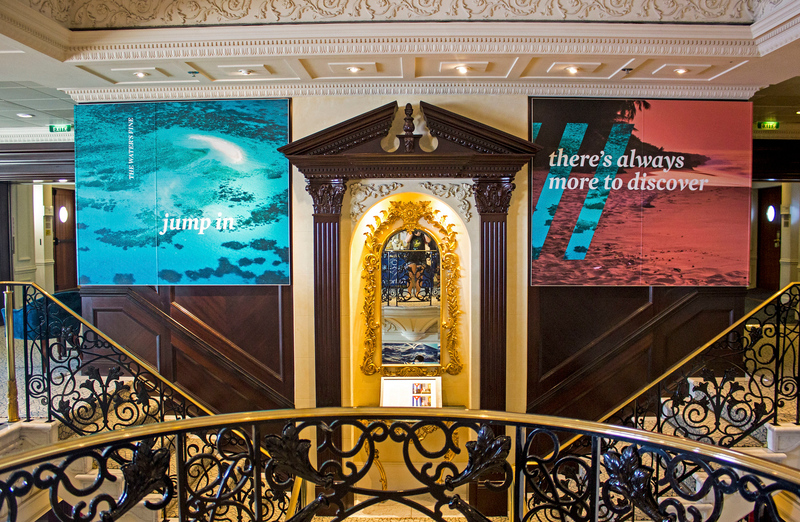 Fathom Cruises, owned by the Carnival Corporation, is the first cruise line focusing on impact travel. Their sole cruise ship, the Fathom Adonia, sails to both Dominican Republic and Cuba on alternating weeks. So, what is impact travel anyway? DID WE ACTUALLY MAKE A DIFFERENCE? Would you consider booking a cruise that involved impact activities? Impact travel is traveling with a purpose. Fathom Cruises aims to unite cruise ship passengers with impact activities on shore (aka. volunteer work) to assist those living there. It’s all about experiencing a place in a whole new light. Fathom partners with local organizations on projects that bring long-term change, helping local residents and communities in need. The Fathom Adonia is the smallest cruise ship in the P&O fleet. It holds about 700 passengers in total. 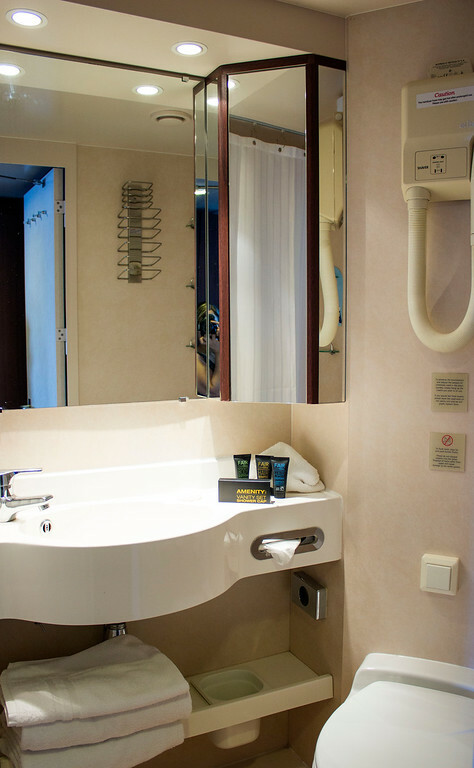 Even though this is a smaller ship, the Adonia never felt crowded and offered plenty of amenities. I traveled on this cruise with my sister, Robyn. We sailed from Miami to the Dominican Republic on a seven night cruise. The first and last days are spent cruising the Caribbean Sea between Miami and the Dominican. Leaving on a Sunday, we arrived in the Dominican Republic around noon on the Tuesday. We spent another two days there before departing on the Friday afternoon. We had three entire days in the country to participate in the impact activities, spend time in port, and explore the Dominican Republic however we liked. Newly refurbished in March 2016, the Fathom Adonia was immaculate. While it lacks some of the amenities of the larger ships, I really didn’t miss the extravagance of a casino, a rock climbing wall, or water slides. 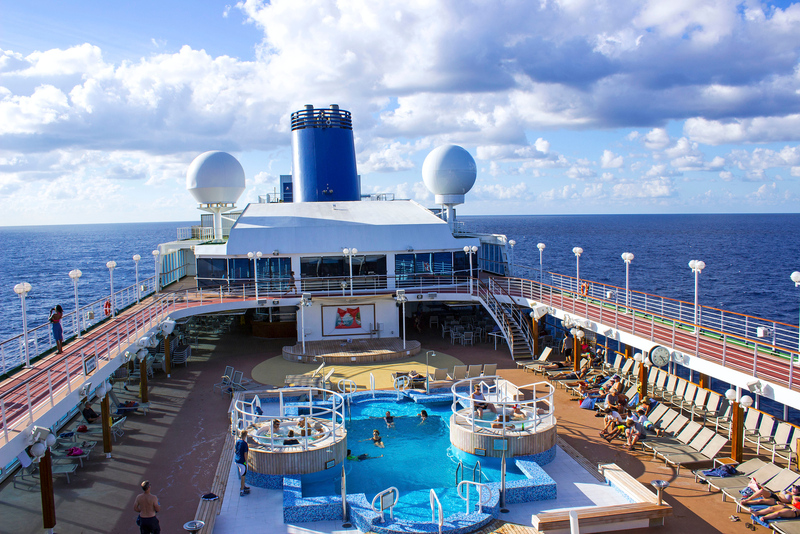 There was a swimming pool, hot tubs, and tons of loungers all over the ship. 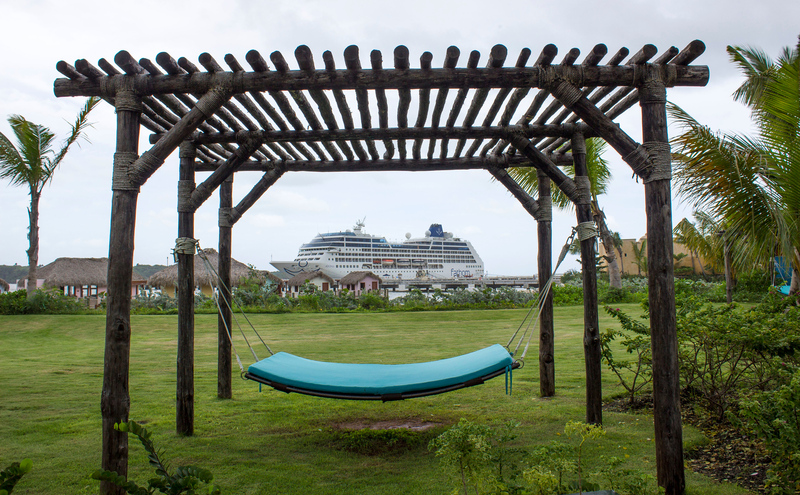 Unlike other cruise ships where you’re fighting for a lounger by the pool, we had no difficulties finding a spot to relax in the sunshine – even on sea days. There were lots of opportunities to stay in shape. In addition to the jogging track around the deck above the pool area, there was a modern gym. The gym had several cardio machines, weight machines, and free weights. The trainer at the gym hosted regular classes, like yoga, pilates and spinning. Yoga was always free, and we took some other classes at a small fee. Definitely try a spin class if you’re looking for an amazing workout! 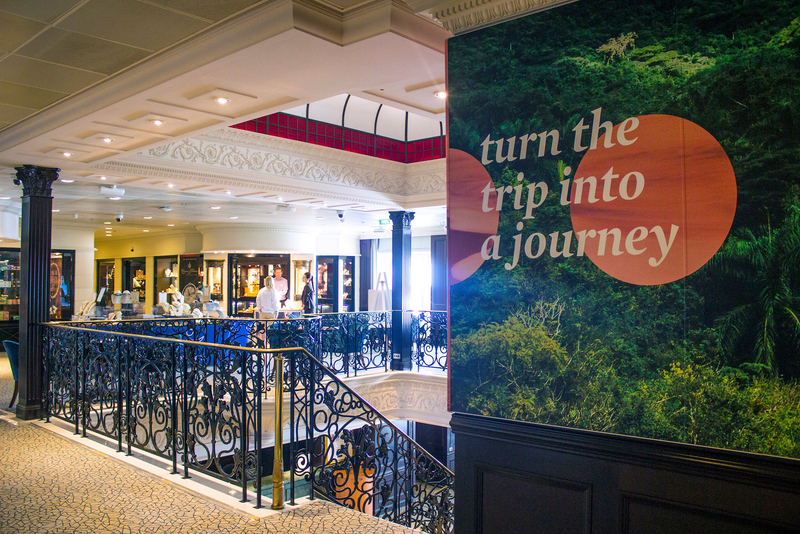 The on-board boutiques kept with the theme of impact travel. Only open during sea days as per the regulations, the shops were stocked with essentials in case you forgot important toiletries at home. The gifts in these shops varied wildly from those that you’d typically find on cruise ships. Everything was either created in environmentally-friendly ways with sustainable materials or benefited communities in impoverished nations worldwide. 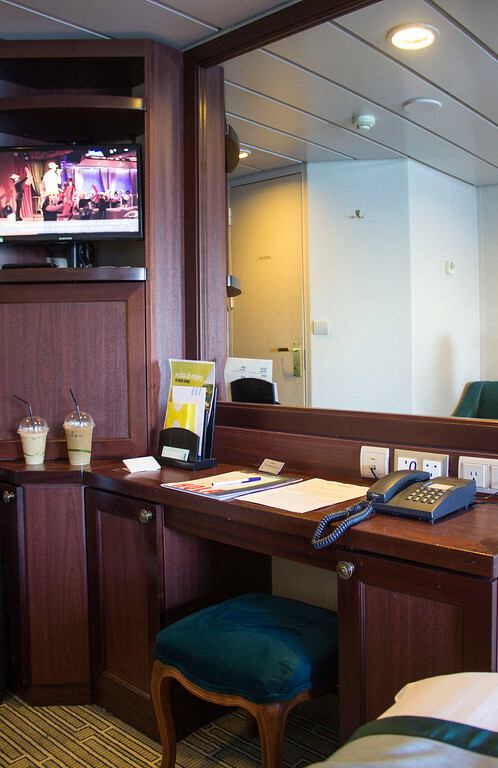 There were many lounges and seating areas all over the ship. You’ll never have a problem finding a quiet corner to read a book. 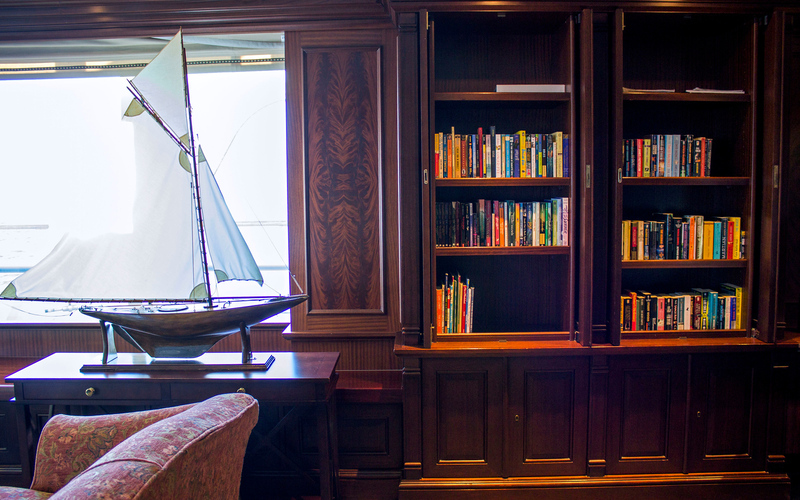 And speaking of books, there was a large library on board, stocked with books and board games. 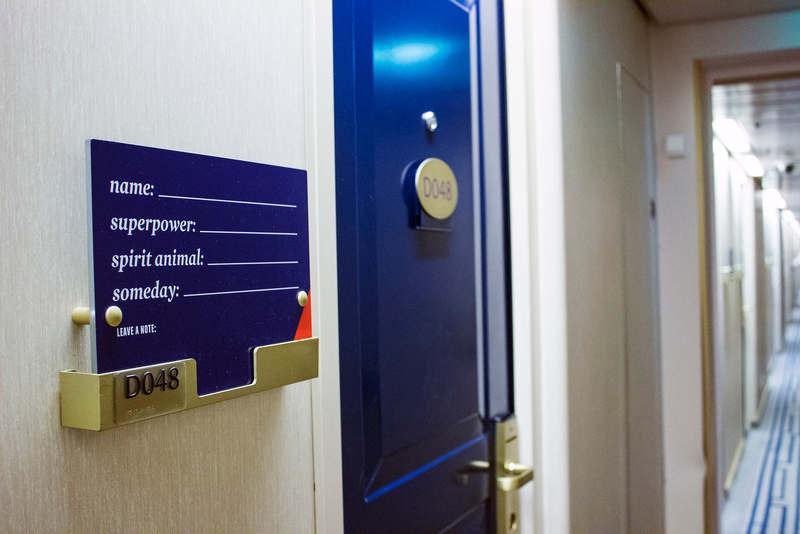 Something else that set the Fathom Adonia apart from other cruise ships were the quirky surprises around the ship. 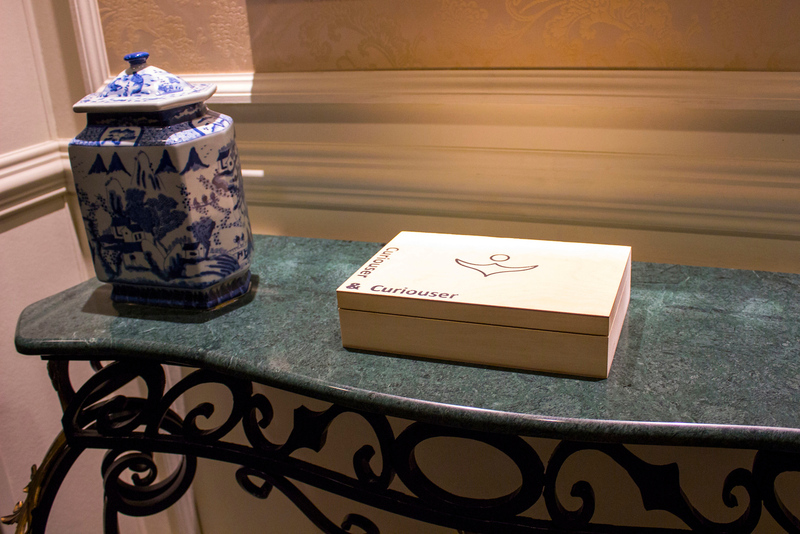 First of all, there were several “curiosity boxes” placed strategically in public spaces and stairways. Inside these boxes were inspirational ideas, trivia about Dominican Republic and Cuba, and even Spanish phrases to familiarize yourself with the language. It felt a bit like a treasure hunt locating these boxes. 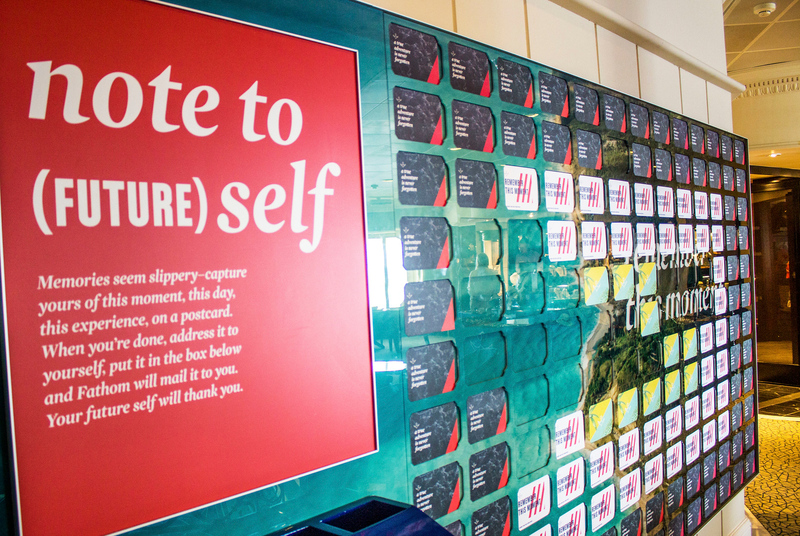 By the boutiques, there was a large wall of postcards where you could write a message to your future self. By placing a handwritten postcard in the box, you’d receive it in the mail several weeks later as a reminder of your past experiences. I’m still waiting to receive my postcard in the mail, and can’t wait until I do – I love receiving postcards, even if they’re from my past self. There was also a small seating area with a video camera where you could share your personal stories with Fathom. They invited us to describe how the impact travel journey may have shaped our lives or changed our outlooks in some way. As you know, I’m vegan and eat a completely plant-based diet. Dining as a vegan on the Fathom Adonia was very easy. In fact, I think it might be the most vegan-friendly cruise I’ve ever sailed on (aside from the fully vegan cruises that are out there, of course!). I made the dining staff aware of my dietary restrictions when I boarded the ship, and they immediately made note of it. On the first evening, the Maitre d’Hotel approached me right away and asked further details about what I could and couldn’t eat. 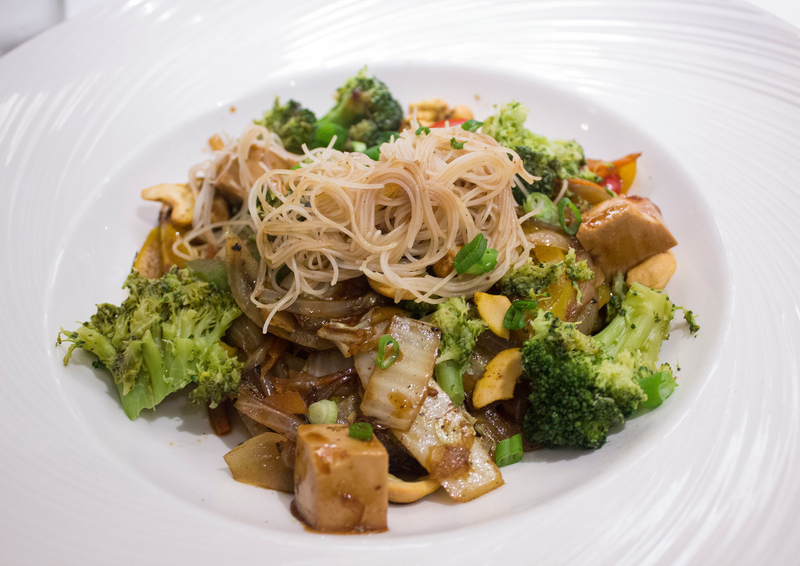 On the first night, they were able to alter vegetarian items on the menu to be vegan and even created an off-menu pasta dish as my entree. From that point on, I received a copy of the menu for the following night’s dinner (and lunch for the next day in the dining room when applicable). There was a separate vegetarian and vegan menu that I could always order items from. In addition, I could order anything from the regular menu that was vegan already or could be made vegan. There were so many choices, and even passengers at surrounding tables were jealous of my meals! 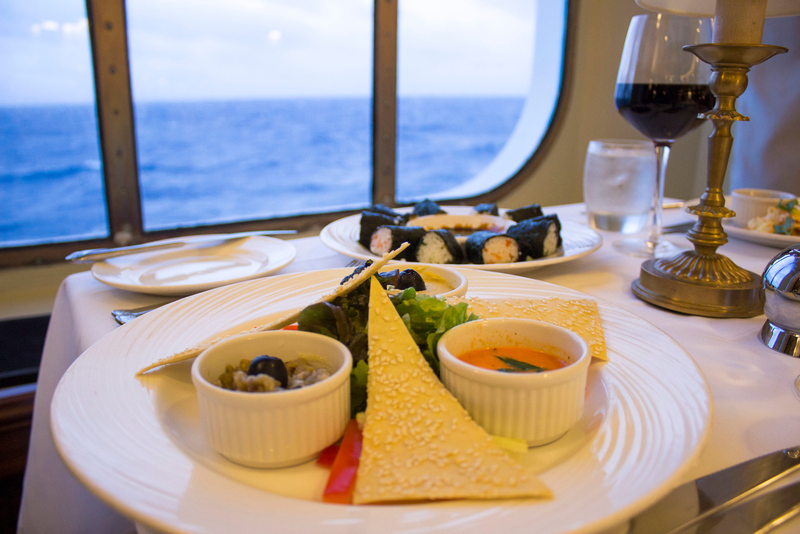 I’m going to write an entire blog post about the food I ate on board the Fathom Adonia. I ate delicious meals in the dining room, and there were always vegan and vegetarian options in the buffet. There was even a spicy red bean burger at the grill. 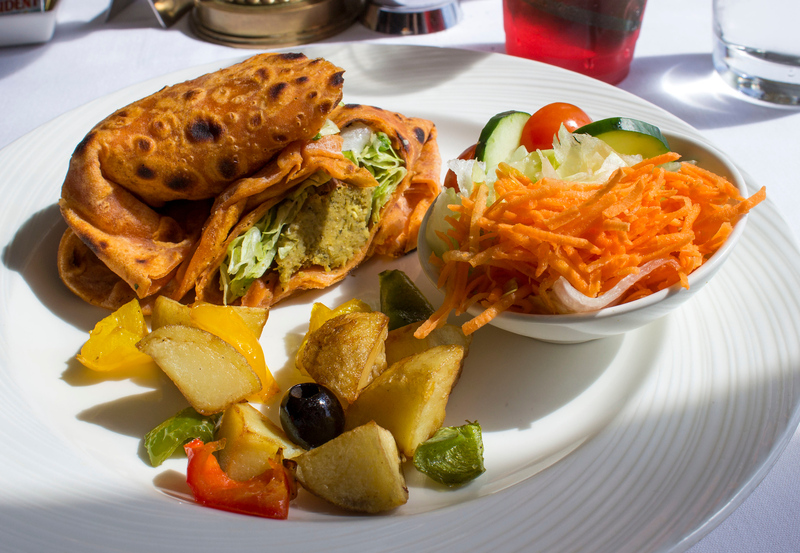 In summary, the food was among some of the best that I’ve eaten on cruise ships and there was no shortage of vegan options. If you have a dietary restriction, you can feel confident that you won’t go hungry on this cruise ship. The crew on board were warm, friendly, and remembered us from the first moment that we met. I was talking to a lady on board who was sailing for the second time with Fathom. She sailed months prior to our cruise. When she boarded the ship, the staff all remembered her instantly and called her by name. That’s pretty impressive, seeing as the crew meets hundreds of different passengers every week. We really felt at home on board the Fathom Adonia, and the crew really helped us feel that way. We stayed in cabin D048, a room with a window. The window was quite large, and we had a lovely view of Amber Cove for three evenings. The room felt very spacious, even though it didn’t have a balcony. There was lots of storage space, and we were able to easily stow our suitcases beneath the beds. The bathroom had several shelves, which was perfect for storing our toiletries. 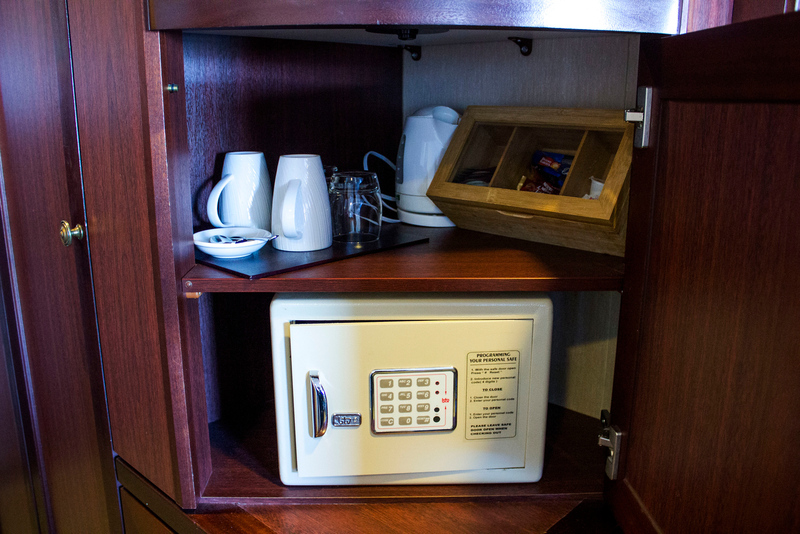 There was a small flatscreen TV, complimentary stationary, a mini fridge, a tea kettle with tea, an in-room safe, and a large working desk. We never felt like the room was too crowded. 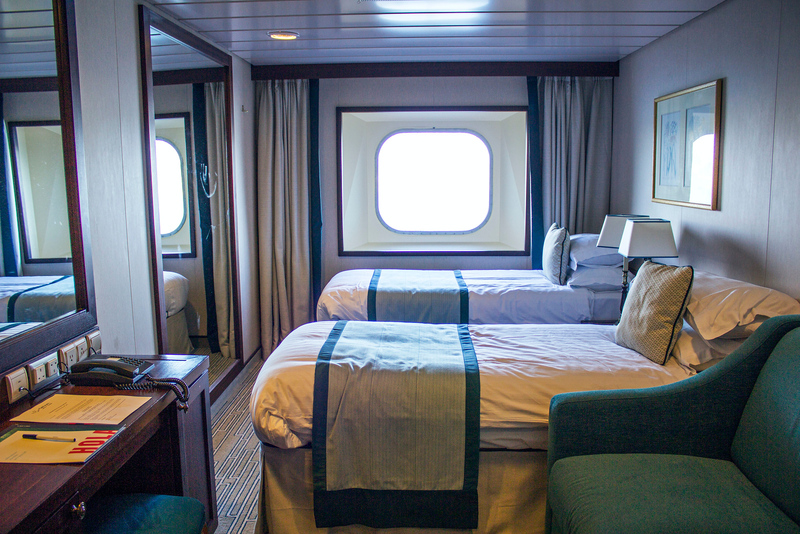 After exciting days in port or around the ship, we always returned to a very clean cabin, thanks to our room steward. There was lots to do during our sea days, especially in preparation for our impact activities once we arrived in the Dominican Republic. We were divided into smaller “cohort groups” led by Fathom Impact Guides. These small group meetings provided us with valuable insights and knowledge about the impact activities and culture of the Dominican Republic. These small group meetings allowed us to easily meet fellow passengers. 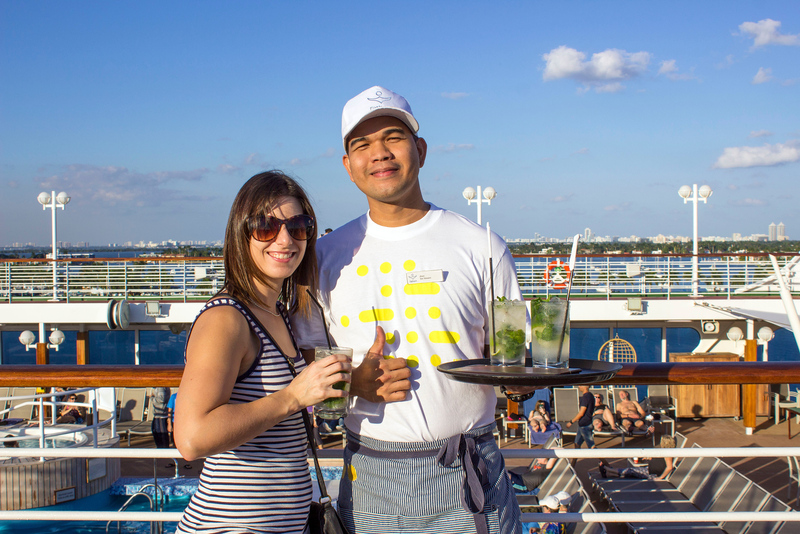 Fathom Cruises are great for solo travelers, as there were many opportunities to connect with others on the ship. 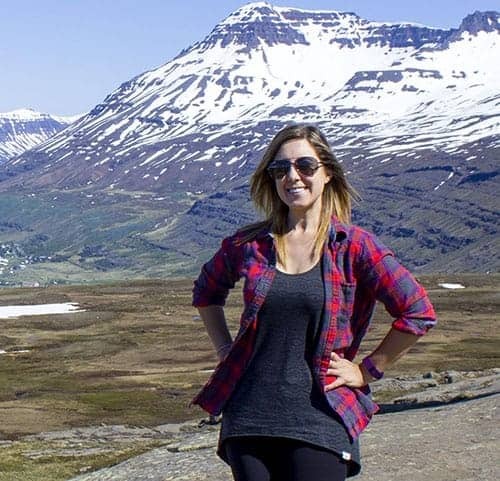 I met several solo female travelers who quickly made friends in the cohort groups. Our Fathom Impact Guide, Tatiana, was incredibly knowledgeable about the impact activities and answered any questions that we had. I highly recommend that you attend your cohort group meetings as I found them to be informative and it gave me the chance to meet new people. Robyn and I attended a workshop on our first sea day called “Social Innovation in Action.” This workshop was quite interesting, as we were encouraged to learn from social entrepreneurs from around the world. We were presented with global issues and were challenged to come up with solutions in small groups. This was another great chance to work with fellow passengers and it inspired us to create change in our own communities at home. 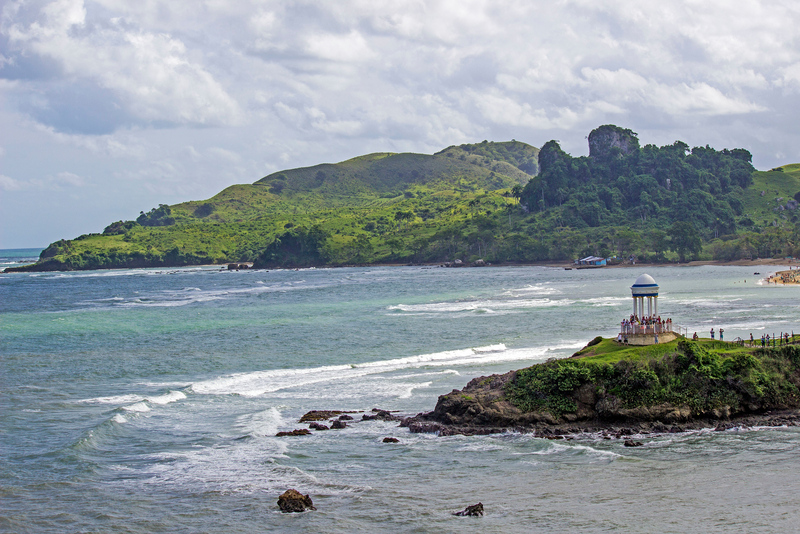 We had a very unique experience – our Dominican Republic Fathom Cruise was during the week of American Thanksgiving. The two of us participated in a special event in honor of Thanksgiving: the Turkey Trot! We woke up bright and early (we had to be at the port by 6:45am!) for this 3km fun run. We ran around Amber Cove through a designated course, which involved even running up and down a hill, and to the ship and back. Cash donations were accepted during the Turkey Trot to benefit the Fathom Impact projects and Wine-2-Water filters for local Dominican communities. It was even more crucial to raise money for these projects that week as many communities around Puerto Plata had experienced severe flooding due to heavy rainfall. The floods washed away many homes, roads, and bridges. Many people lost access to clean water and experienced great hardships. Although there weren’t any theater performances at night like on some cruise ships, there were many bands and live musical performances on board. There were trivia nights and karaoke with a live band. There were also game shows where guests from the audience volunteered themselves as contestants. 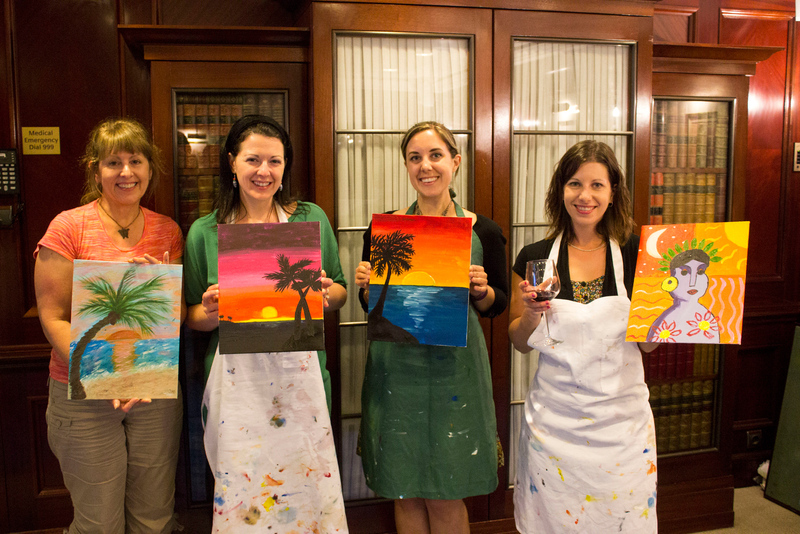 One of our favorite activities was the wine and paint night. We signed up at the shore excursion desk ahead of time, and it was $25 a person for supplies and a glass of wine. There was an example work of art, and we were encouraged to create our own painting. Robyn painted a variation of the example artwork, while I painted something completely random – a sunset scene. We were sitting at a table with two other ladies, and they decided to follow my lead and also paint sunset scenes. We really had a blast giggling over the progress of our masterpiece works of art as the night progressed. 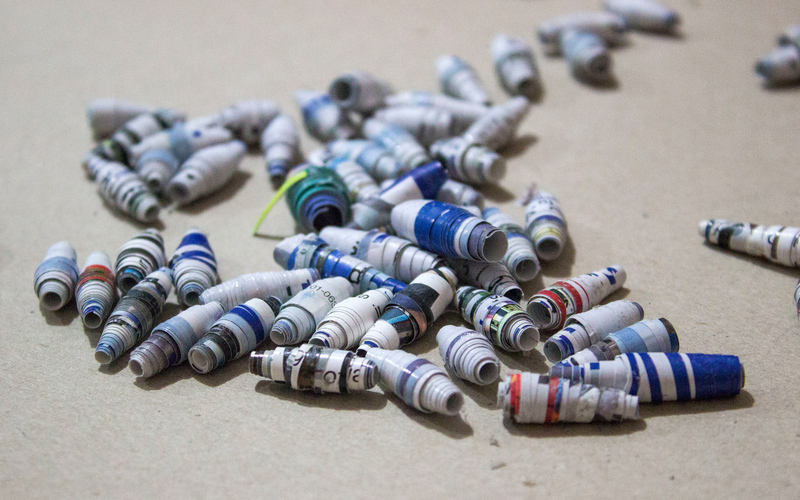 And…here’s how they turned out! The Adonia docked in Amber Cove, the port near Puerto Plata, for three days. 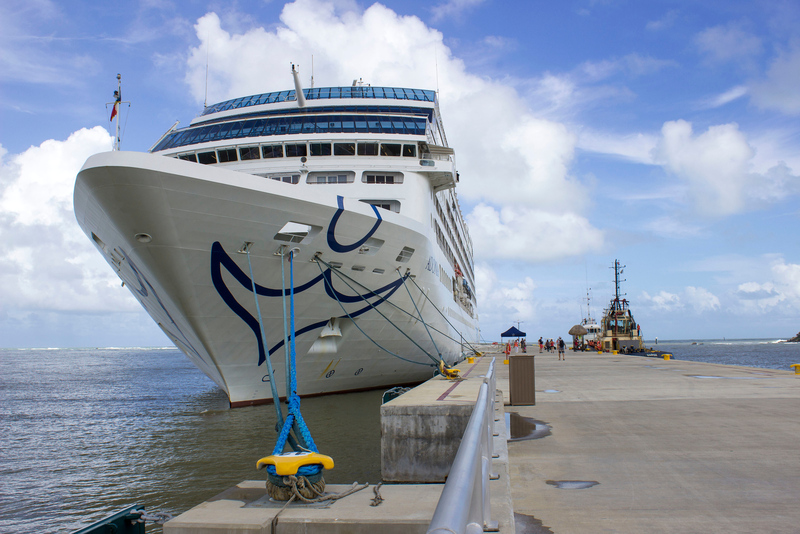 It’s a rather unique experience to stay docked in one place, as cruises tend to move from port to port typically. Amber Cove really is a destination in itself. There’s a large swimming pool there, water slides, zip lines, coffee shop, a restaurant and bar, and several shops. The Fathom Impact Center is located in Amber Cove, where you can participate in miniature versions of several impact activities. 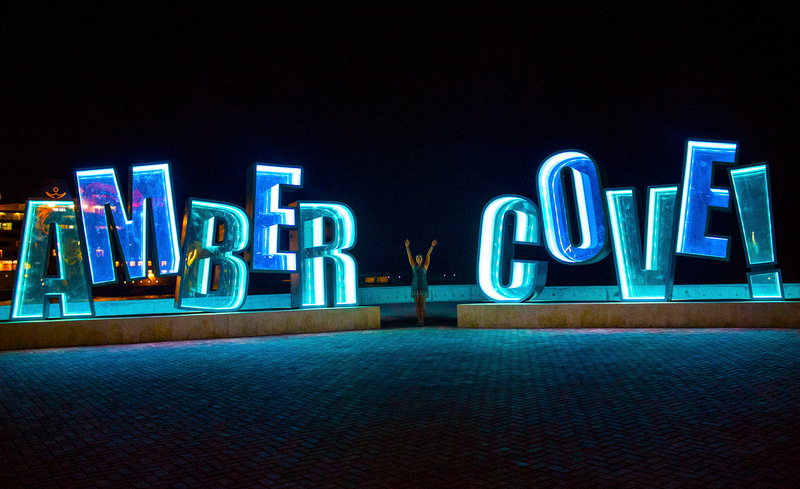 I’m going to go into more detail in a separate blog post about Amber Cove shortly. Stay tuned. We signed up for Recycled Paper and Crafts Entrepreneurship, Cacao & Women’s Chocolate Cooperative, and Reforestation and Nursery. I would have loved to have tried all of the activities. Be sure to sign up for your impact activities well in advance online under your booking. These activities are complimentary with each sailing (with the exception of a nominal fee for the water filter production to pay for materials). They fill up FAST. Even when booking in advance, the water filter production impact activity was full. Here are our experiences with each activity. 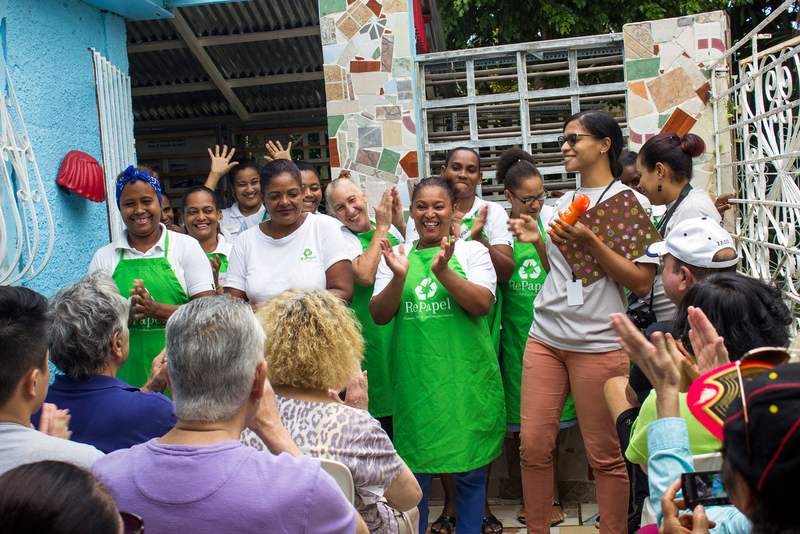 We traveled to RePapel, a small cooperative in a low income community of Puerto Plata, and 100% of the workforce are women. These women are local artisans committed to working with natural and recycled products, as well as reducing overall waste. 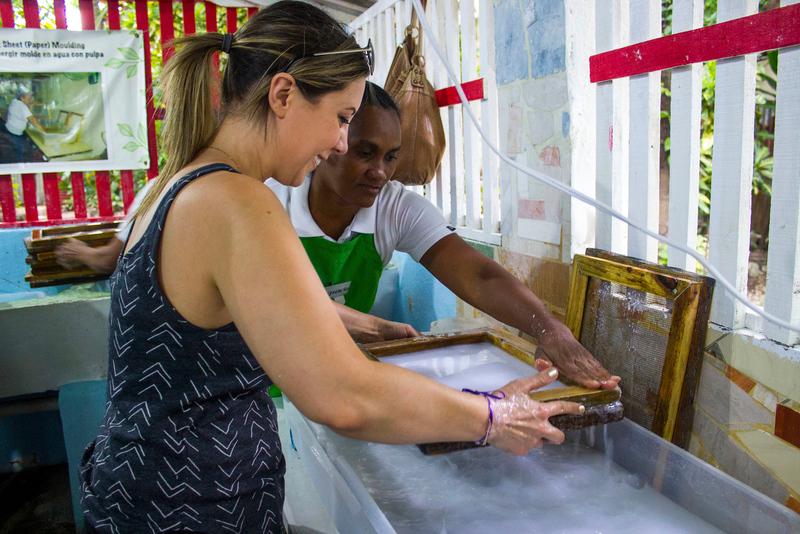 RePapel allows these women to be self-employed. Before working at RePapel, the women often worked as nannies away from their homes and their families. By working at this co-op, they are able to follow their passions creating handmade products, and spend time with their own families at home after work. 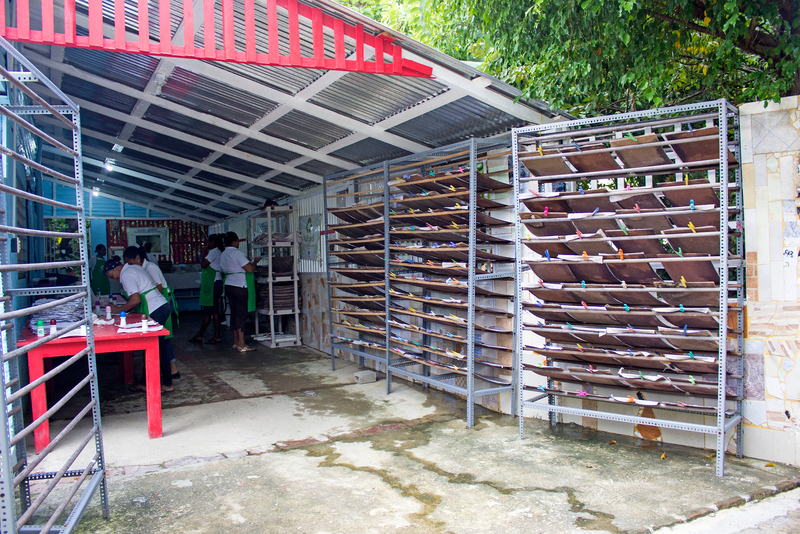 By volunteering at RePapel, we offered extra hands and assistance creating paper products and handmade crafts. We were able to increase the amount of products made, interact with the ladies in English (helping their English skills), and purchase products from their shop. I’ve never met a group of women quite like this one. These were the happiest women I’ve ever met! They were always singing, dancing, and clapping. They only knew us for minutes, yet made us feel welcomed like a part of their family. Even though we spent a small amount of time together, we were hugging each other like we were old friends. As someone who doesn’t speak any Spanish, there was a language barrier. This barrier disappeared when we were singing and dancing around, while we were making paper or traveling between the paper making stations. The women started singing, Feliz Navidad. They sang the loudest during the Spanish sections of the song, and we sang the loudest during the English portions that we knew the best. It was delightful to collaborate in singing the song, just as we were working together to make recycled paper products and handmade jewelry. 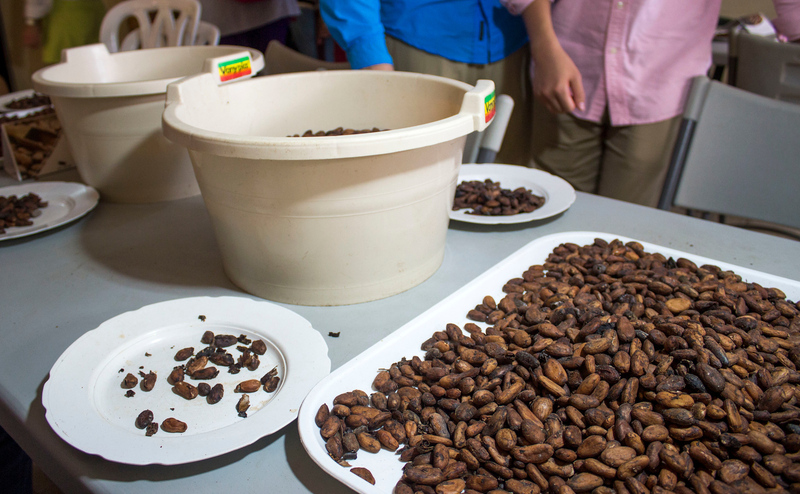 We traveled to the cacao cooperative to assist the workers in chocolate production. This company successfully grows cacao plants and produces chocolate bars for sale all over the Dominican Republic. The company had to take out a sizeable loan for proper equipment, and cannot afford to hire any more workers at this time. 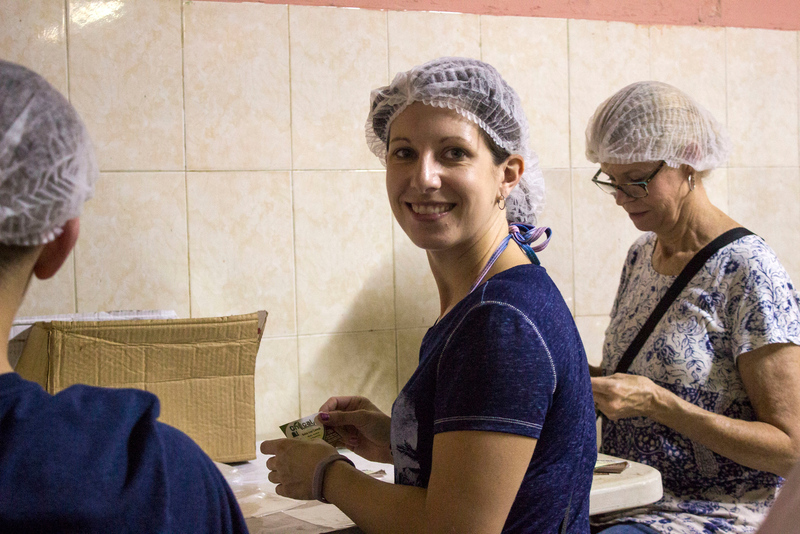 As the women have even gained help from their own children at the cooperative, they’re in need of extra hands to help make more chocolate bars. Once the organization sells enough chocolate to pay back the loan, they’ll be able to hire more workers that they desperately need. In the meantime, Fathom volunteers assist in the various steps of making chocolate. 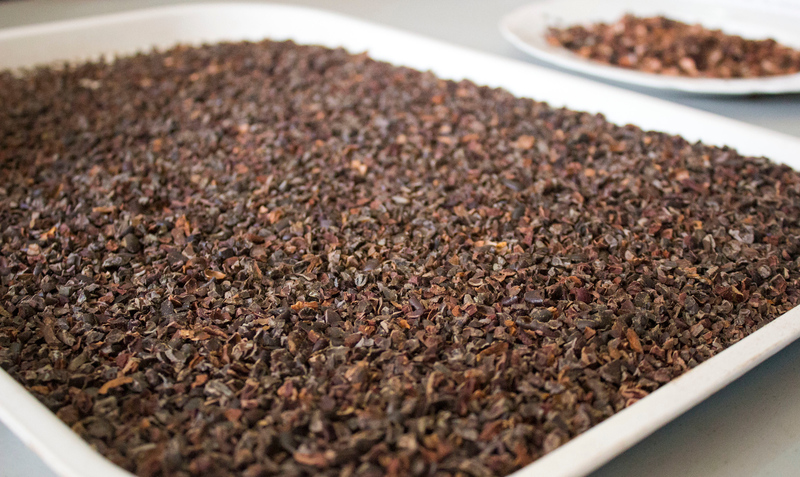 We sorted cacao beans and cacao nibs; both steps must be done by hand and can be a time consuming job. We also helped create packaging for the cacao balls, and poured chocolate into molds. At the end, we were able to purchase chocolate from their shop as souvenirs for loved ones back home (or to eat on the bus ride back to the ship!). Depending on what day of the week you volunteer, you’ll be working in the nursery or planting seedlings at the reforestation sites. 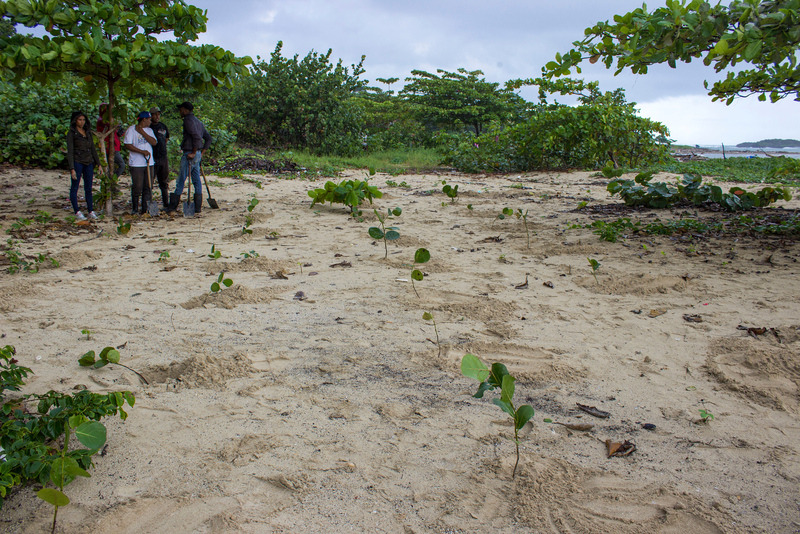 We planted sea grape seedlings at a beach in Puerto Plata. These local reforestation efforts serve to improve the forest and wildlife conservation of the country. The sea grapes help protect the land from natural disasters by serving as a barrier. In addition, people can make jams and other edibles from the sea grape fruit. Furthermore, when local residents see volunteers planting trees, they often ask questions and it can stir up interest in taking care of their land. It alternated between sunshine and pouring rain that morning. We worked as hard as possible, even in the pouring rain. 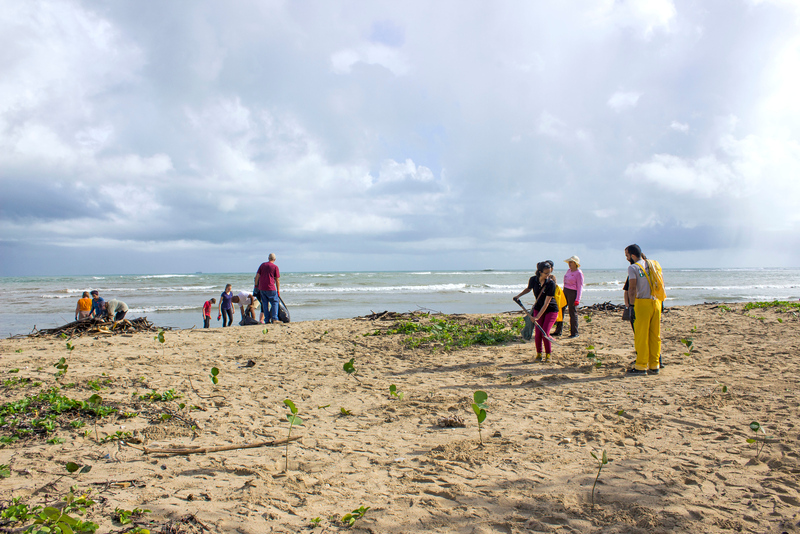 When we ran out of seedlings to plant, we started cleaning up the garbage on the beach. Then, another truckload of seedlings arrived and we got back to planting the sea grapes. I really felt like we made a difference, even in that short amount of time. I was hopeful going into this cruise that the impact activities actually made a difference in the Dominican Republic. I can say with confidence that yes, these activities do make a big difference. We are contributing to positive change by traveling on a Dominican Republic Fathom Cruise. Those critical of the method of travel might think that we help here and there for a short period of time, returning to our comfortable ship to gorge at the buffet. While cruise ships aren’t the most environmentally friendly way to travel, this is a positive step in the right direction. 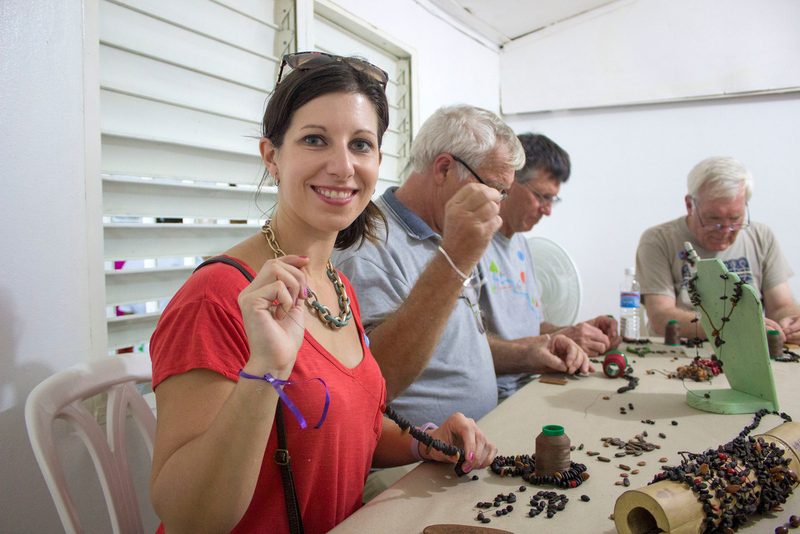 Fathom Cruises introduce travelers to the idea of volunteering on their vacations. It’s a great bridge between a cruise holiday and a volunteer trip. People who may never have thought about volunteering before can try it out while maintaining the comforts of home on the ship. Whether or not the Fathom Cruise sails to Dominican Republic, the activities on land continue to happen no matter what. Fathom has partnered with organizations, such as IDDI, to work with their existing programs.The cruise ship brings a literal boat load of travelers willing to help, which increases the amount of progress in the programs considerably with sheer manpower. At the end of the cruise, we received actual numbers and statistics about the difference we made on our cruise. I’m delighted to deliver the stats so you can see the positive changes we made, even just in one week. 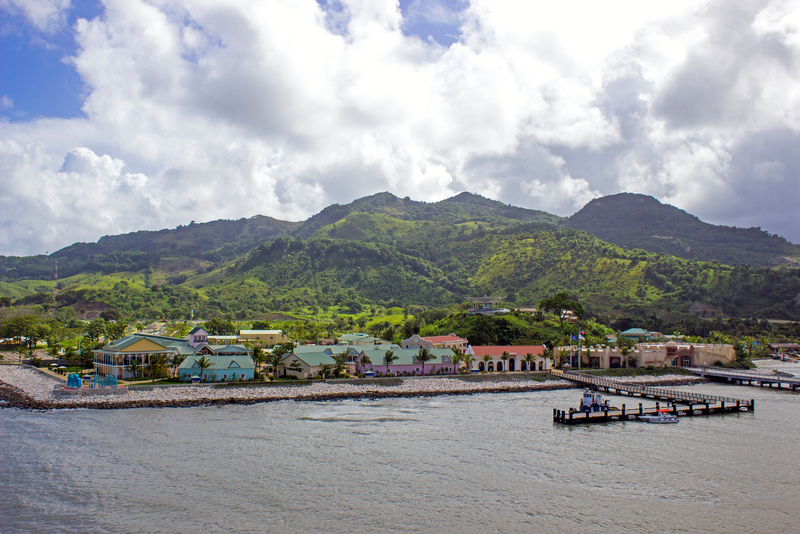 As you can see, Fathom Cruises’ passengers are having a notable impact on the lives of those living in the Puerto Plata region of Dominican Republic. Sadly, Fathom Cruises will only sail until June 2017. 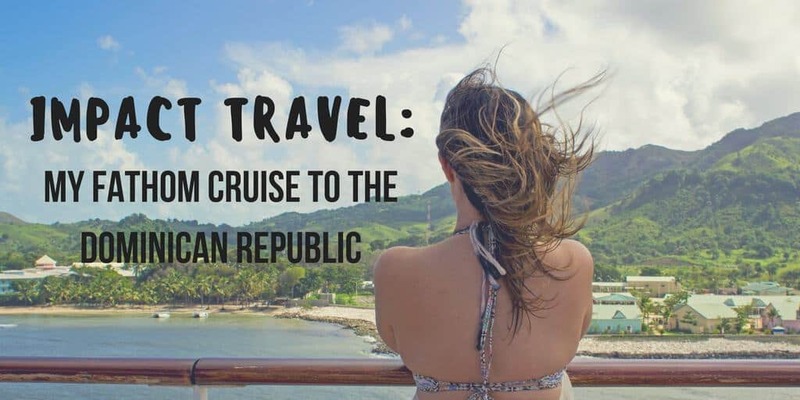 Definitely book one of these cruises to the Dominican Republic while you still can. It’s an incredible experience and I had an amazing time. What does this mean for the impact activities and the communities we are helping? The volunteer activities will continue through the local organizations that established them in the first place. However, the impact activities will be expanded to every cruise ship owned by Carnival Corporation that arrives in port at Amber Cove. This means that everyone can participate in impact activities, whether you’re on a Carnival ship, Princess ship, or any other brand. While the passengers on these ships won’t be cruising specifically to volunteer, it does open the opportunity to far more passengers than before. Even if a small percentage on board are interested, this could mean that way more help could reach the people of the Dominican Republic. Hopefully, if these kinds of activities are a success, these programs can expand to even more countries across the Caribbean, and even the world. 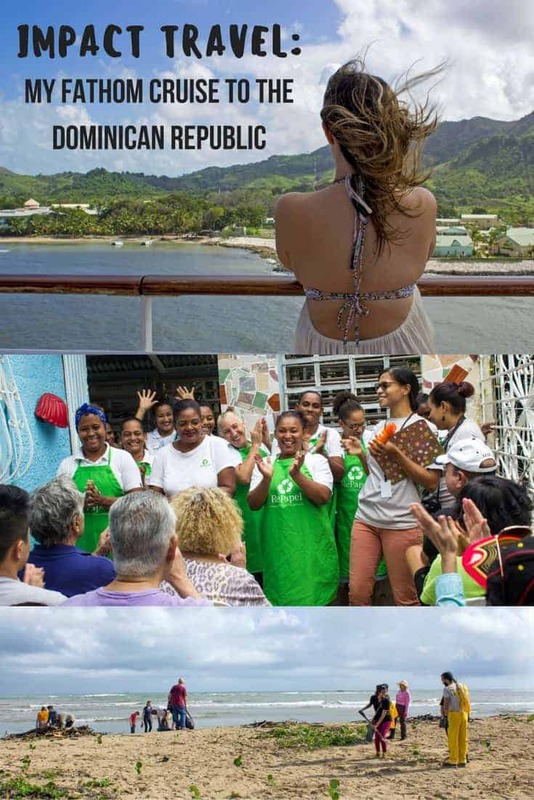 I highly recommend that you book one of the remaining sailings on a Dominican Republic Fathom Cruise, or at least check out the impact activities if you dock in Amber Cove in the future. As you can tell, I had a wonderful and highly memorable experience on my Dominican Republic Fathom Cruise. This sailing is at the top of my experiences cruising the seas – I’ve sailed on over 10 cruises to date. This cruise is great for solo travelers, couples, friends, siblings, retirees, or families. We saw several families with young children. What an enriching experience to give back as a family on vacation! The impact activities make a difference. While it isn’t quite on par with a complete volunteer program on land for an entire week or more, it serves as a fantastic introduction to social impact programs. It exposes the idea of volunteering while traveling to many people who might not have considered it before. 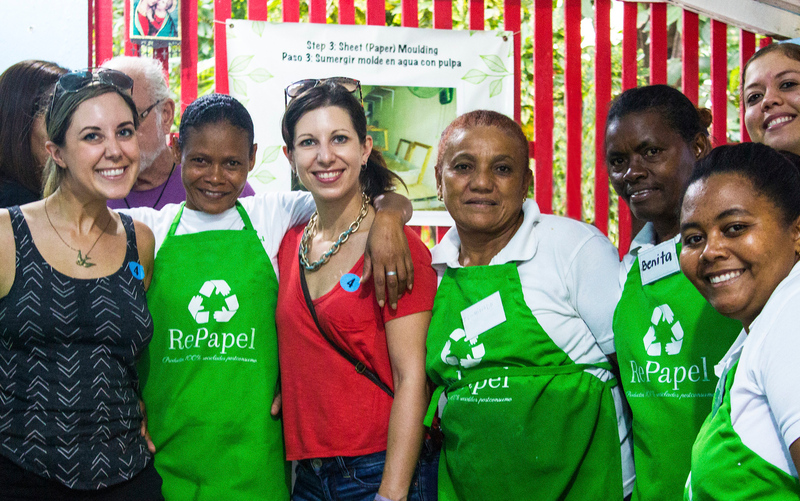 After spending time with the joyful women of RePapel, I knew that we were improving their lives. 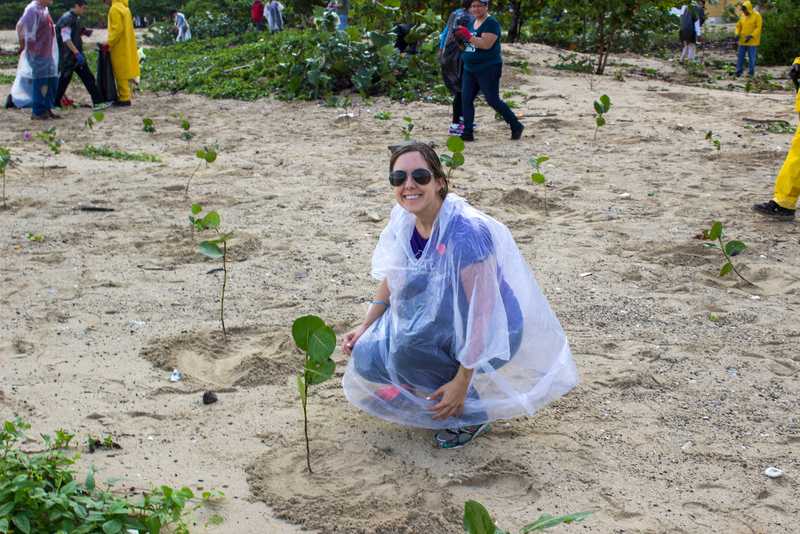 Upon viewing the hundreds of seedlings we planted in an otherwise garbage-filled stretch of beach, I imagined the amount of trees planted over the months of travelers participating in the same activity. Fathom Cruises paired a tropical vacation on board a luxurious cruise ship with the idea of impacting the places we visited in a positive way. It’s the difference between a tourist and a traveler; a trip and a journey. It’s a more socially responsible way to travel, and something that I hope is the future of tourism. Looking for more photographs from my trip on board the Fathom Adonia? Check out my entire Fathom Cruises photography album! Thank you so much to Fathom Cruises for inviting us on board to experience this cruise. My opinions, as always, are entirely my own. I highly recommend this Fathom Cruises experience! What an incredible experience! And wow, does that boat ever look gorgeous! I’d love to not only visit the Dominican Republic but also have an worth while volunteer experience like this! This is a great idea. I would absolutely book a cruise that had the option to participate in impact activities. Hello Kris. Looking forward to making new friends on this cruise. I would assume that the clothing we where should be comfortable and discreet. I know shoulders need to be covered. So excited! See you soon. I have never heard of this type of cruise before, but it seems a great idea. We were on a cruise a few years ago and there was a group traveling to Honduras to do mission work – you could tell they were all together and what they were doing by their t-shirts they wore daily. I thought that was a great idea and this cruise looks like one, too. A great way to do good. I had done many humanitarian trip, and I will love to combine a little placer with impact activities that benefit the people we meet. Thank you for your post. 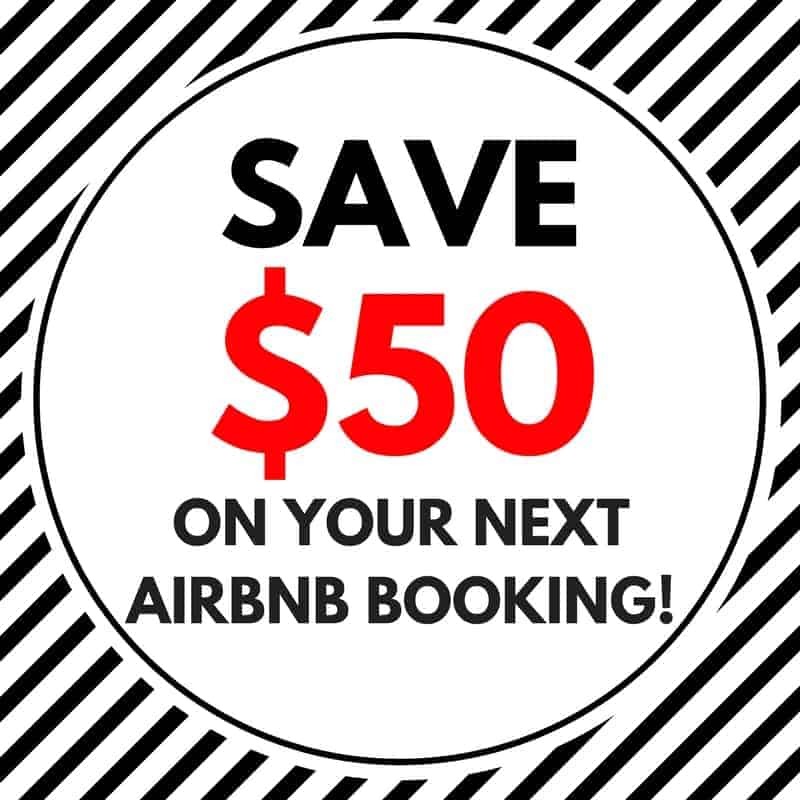 This is such a cool and unique way to have a vacation plus do some good while you’re at it! I know friends who struggle with wanting to volunteer or take a vacation on their 1-2 week vacation per year in the States. This is the perfect combination between the two. I will for sure be passing this along to my friends! Cruises are so much fun. I love that they have karaoke with a live band, that is right up my alley! so if i am taking another Carnival cruise, how do i add this to our itinerary? is it mentioned on the cruise, or will someone be there at the port to assist with selection. id like to know that we have enough time to help.